The Triple Talaq Bill was passed in the Lok Sabha on December 27 last year with 245 votes in favour and 11 against the Bill. Law Minister Ravi Shankar Prasad will move The Muslim Women (Protection of Rights on Marriage) Bill. The Prime Minister Narendra Modi-led government which is keen to get parliamentary approval for the Triple Talaq Bill, will table it in the Rajya Sabha later today. Union Law Minister Ravi Shankar Prasad will move The Muslim Women (Protection of Rights on Marriage) Bill. The Triple Talaq Bill was passed in the Lok Sabha on December 27 last year with 245 votes in favour and 11 against the Bill. The opposition parties want the Bill to be sent to the Select Committee of Parliament for further vetting, a demand rejected by the Centre. 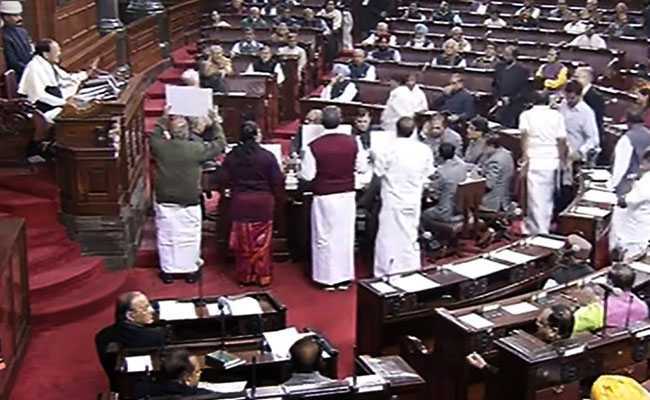 However, an ordinance was re-promulgated in January this year as the revised Bill could not be passed in the Rajya Sabha where the government lacks majority. The issue of triple talaq was taken up in the Parliament in August last year after a five-judge bench of the Supreme Court ruled "unconstitutional" a practice that allows Muslim men to divorce their wives simply by uttering "talaq" three times in quick succession. In a landmark 3-2 verdict, the apex court found the practice un-Islamic and "arbitrary", and disagreed that triple talaq was an integral part of religious practice.